the first to allow women to vote and run. The inclusion of women is not the only progress. This round, the municipal election winners will be a bit more than the nominal seats they were in the past and will have a little more say in the budget and performance of the municipalities. For example, in the past the head of the municipality is also a voting member of the council. It doesn’t matter which way he votes or even if he abstains because the ultimate decision is made by his office once the issue leaves the council. However, this time around, the heads of municipalities are no longer council members and only a non-voting coordinator from the head’s office is allowed to attend. Other changes include lowering the age requirement to eighteen and raising the educational requirement of candidates from literate to a high school diploma. Also the number of elected versus appointed council members has changed. Instead of half elected and half appointed, now it will be two-thirds elected and one-third appointed. Many have expressed that participation in these elections is futile. They point out that previously elected officials have not had any real impact. Others claim that many of those that were elected, were voted in for reasons other than merit such as tribal and religious affiliations. The names of those whose nominations are approved and finalized will not be released until November 29th. Afterwards the candidates have to be careful about their campaigns. According to the bylaws, their campaign spokesperson has to be approved by the Ministry. The candidates have to also be careful that their campaign program does not contain anything “seditious.” In 2005, Salman Al Sulayman candidacy was disqualified because his campaign program included his support for lifting the ban on women driving. Both men and women candidates are not even allowed to include their personal photo in their campaign programs. Unfortunately once the elections were coming up, these efforts were abruptly stopped by the Ministry of Municipal Affairs. The Baladi Initiative had started workshops for women who planned to run and for potential women campaign managers. The workshops were free, open to all and planned for all the major cities. As soon as the first one began in Riyadh, the Ministry issued a statement that anything pertaining to the elections has to be either run or licensed by the government. And since the Baladi Initiative is non-governmental then all of their lectures and activities became now illegal. Fortunately this did not discourage these bold women. Since they could not do anything on the ground, they took their movement online. They do interviews on TV to encourage participation and used social media to get the word out. Many influential women also had their photos at registration taken and posted to encourage other women to do the same. Some of these leading women’s registration photos are included in this post. If you click on a photo, it will take you to either their Twitter profile or an online bio. There weren’t that many objections to women participation. Sheikh Abdulrahman Al Barrack issued a fatwa that women’s participation is prohibited. However this is the same sheikh who issued an earlier fatwa claiming that Muslims not adhering to and believing in gender segregation are apostates who should be killed. So far, no one has been executed. He also called soccer the “mother of all sins” and a “Jewish conspiracy against Muslim.” Yet soccer remains the country’s national and by far most popular sport. Others from the religious establishment took a more politically savvy approach. Sheikh Abdulaziz Al Fowzan encourages good Muslim women to run for seats in case a female quota is implemented. This is so “deviant” and “westernized” women do not get any seats. However, if there is no quota then Sheikh Al Fowzan states all devout Muslim men and women should vote for men. Thus no woman gets a council seat. Three videos came out and were widely shared on social media and Whatsapp calling on all “morally vigilant” men to register for the elections to ensure that no women are voted into the councils. The most telling part about these videos is how men and women are represented graphically. The men are portrayed singularly and hold their heads high looking straight ahead while the women are covered, in groups, in profile and with their heads bowed down. So far there has been little indication that people are acting upon the religious establishment’s advice. There were a few minor reports of vandalism at locations for women registrations but nothing serious. Considering that this is the first time for women to take part and how new Saudis are to the whole democratic process, it’s so far been an auspicious start for the future of political participation in Saudi Arabia. 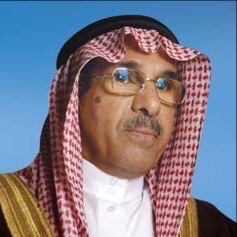 Saudi Heroes was inspired by the original Saudi hero, Dr. Gazi Al Qosaibi. These lists highlight Saudis who take stances or work hard in the unselfish pursuit of the betterment of the Saudi people. In this sentence, you’ll find links to the first Saudi heroes post, the second, and the third. Dr. Al Rabiah, Minister of Commerce and Industry, is famously known as “the minister of the people.” He earned this title by mainly abolishing the usual ceremony that surrounds Saudi ministerial positions. He rarely wears the black and gold cloak that sheikhs traditionally wear as a status symbol. He enters the ministry through the front door instead of using a secret back entrance. He even makes a point of taking the stairs so that both ministry employees and the general public can have access to him longer as he enters and leaves his office. When he first took office in 2011, he did not make the usual unlikely-to-ever-materialize-ten-point-five-years plan announcements. We began to feel his presence through the public closures of restaurants for compromised sanitation and violated food regulations. Then he streamlined consumer complaints and facilitated the public’s follow-up of complaints. He removed the glass windows between the ministry’s bureaucrats and the people they are serving. Overall he’s a man who does his job well which is, unfortunately, unusual in the Saudi public service sector. Abulkhair is an independent human rights activist. Many know him as Raif Badawi’s lawyer. He’s also the lawyer who fell in love with one of the strongest Saudi women I know, Samar Badawi. He proposed to her towards the end of the seven months she spent in prison for not obeying her abusive father. He’s a lawyer who’s the first and in many cases the only to defend those who have the government as their plaintiff. He founded an independent human rights organization called the Saudi Arabia Monitor of Human Rights. Unfortunately, since Raif’s arrest, Abulkhair has fared worse. He is the first in Saudi history to be tried and sentenced under the new terrorism law and is currently serving a fifteen years sentence. His charges include undermining the regime, inflaming public opinion, insulting the judiciary, harming public order, founding an unlicensed organization, and violating the anti-cybercrime law. 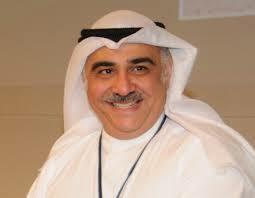 Dr. Almodamaigh is a fatherly figure. Even interrogators cannot help but respect his calm and knowledgeable demeanor. This patience and wisdom also come across on Twitter. When most would have been frustrated, Dr. Almodamaigh respectfully responds to even trolls. He has taken advantage of that platform to educate Saudis about their rights. Some have told me that they cannot form a final opinion on local political topics until they’ve seen Almodamaigh’s position on the issue. Dr. Almodamaigh is a Harvard doctorate graduate. 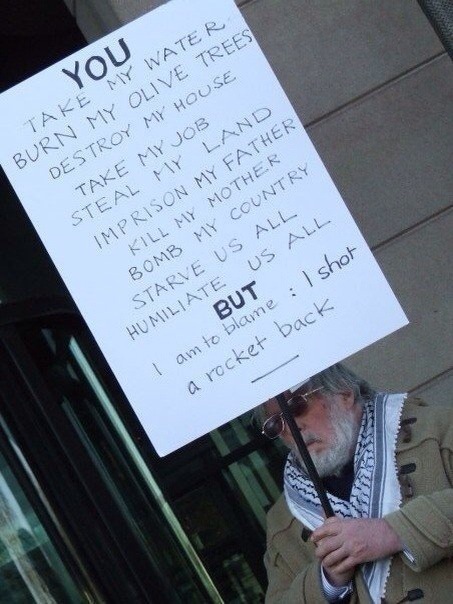 He did not attend his graduation in protest over Harvard’s position on Israel’s 1982 attack on Lebanon. He has a history of taking similar stands. He is one of the first signatories of the 1990 Civil Rights petition demanding the monarchy allow a parliament elected by the people. He was appointed to the Human Rights Commission but soon resigned due to its glaring lack of government independence. Currently, he has his law firm. 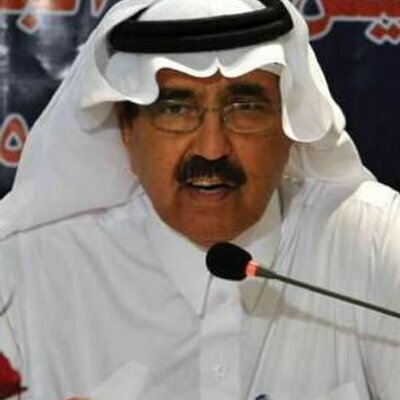 He leads the defense of human rights activists charged with establishing government independent human rights groups such as the members of the Saudi Civil and Political Rights Association (ACPRA). He also defended those prosecuted for criticizing a government body such as the three lawyers who were tried for tweeting about the Ministry of Justice’s incompetence and for retweeting a cartoon on the same matter. AlYousef is one of the most generous people in Saudi Arabia. She is generous with her time, money and hospitality. She has hosted lectures on everything from the Saudi economy’s current situation and future prospects to the life of literary figure Abid Khazandar. She has taken part in all the women driving campaigns since 2011 not only by driving and getting caught but also by supporting other women who do. Her catering business always prioritized employing Saudi women years before it was a national agenda. She is bravely outspoken on fighting terrorism through Arab nationalism. She is the only Saudi woman to attend eight sessions of the ACPRA trials. If I were to sum her up in one sentence, I would say she is one of those rare human beings who lead by example rather than talk. When Jamjoom on CNN asked her why she took part in driving movements, she replied that we are sick and tired of waiting to be given our rights, it’s about time we take them. Al-Zamel is known as a Saudi Twitter “big fish.” With thousands of influential followers in the political and business sectors, his tweets have weight. He is also a fellow blogger. His day job is entrepreneurship with a focus on online startups. However, he’s on this list for his undying championing of taxing “white land.” Only 30% of Saudis own their homes. Everyone else rents. Meanwhile, the rich have a tendency to hoard large undeveloped plots of urban land (white land) as riskless investments. These amassed undeveloped plots lead to land shortages, which in turn drive property prices up. To discourage this practice, Al-Zamel advocated that these plots be taxed. Since 2011, Al-Zamel has been campaigning and raising awareness by taking part in a movie on the topic and through his social media accounts. He has been unrelenting and consistent in a culture with a limited history of political advocacy. Usually, in Saudi Arabia, a person who takes up a cause gives up within a year. Many in Saudi don’t realize that governmental changes in most corners of the world require years of campaigning. Even after the Saudi government announced that it will impose a white land tax, Al-Zamel did not just celebrate and move on. He has since written tirelessly about the implications of how this tax is implemented. He is currently working on educating people about the importance of it being high enough to impact the real estate market and that it be imposed indiscriminately on all. Al-Saif is a researcher and writer with a doctorate in political science. He’s authored books in Arabic and English. He is a Saudi hero because much of what he’s said and done for the past few decades is to alleviate sectarianism in Saudi. Al-Saif is a minority Shiite in a country that is considered the center of Sunni Islam. This is a country where, without fear of reproach, government paid sheikhs can issue statements titled “Shia sect an evil among the sects of the Islamic nation, and the greatest enemy and deceivers of the Sunni people.” He spent his teens and early twenties in Iran, Syria and Britain as part of an opposition movement for Shia rights in Saudi. However, when Saddam Hussein came calling with offers of funds, a radio station and even a plane, Al-Saif’s movement turned him down. They responded that despite their differences with how Saudi is governed, they are patriots first. 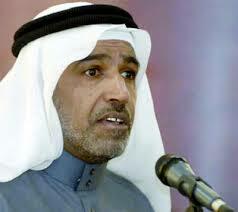 After the Gulf War, Al-Saif’s movement made peace with the government and returned home without fear of prosecution. Since then, Al-Saif has patiently and consistently raised awareness from within about the plight of the Shia minorities while emphasizing the importance of human rights for all. He wrote and signed major petitions that called for national reforms not specific to Shiites. He even had the poise and forbearance to sit through a debate with a mutawa on whether or not Shias should enjoy the same rights as Sunnis. But my personal favorite moment in his interviews is when he is accused of being sectarian himself. With his decades of anti-sectarian stances, he could have vehemently denied it. Instead, he responds that like everyone else he struggles to rid himself of these intolerances. With the recent clamp down on any form of criticism or activism, Al-Bahili is one of the few who still dares to speak up. His tweets, his interviews and his call-ins on shows are downloaded and shared widely on Whatsapp and other more private forums. He has an uncanny ability to assess the public mood. One of his more bold and comprehensive interviews is an hour-long interview he did six months ago. In it, he makes a statement many within the country would only whisper in private; he says the Saudi people want a mechanism through which they could monitor the government and hold it accountable. He also spoke boldly about the people’s aspirations for a constitution and an elected parliament. At the end of the program, people were allowed to tweet in their questions. One person asked how he could still walk free after publicly saying that we can’t expect the rich to pay taxes on their undeveloped urban land plots when they don’t even pay their electricity bills. Al-Bahili’s response was to simply laugh. Fearless. Faqih is another minister worthy of hero status. Faqih is a women rights advocate who has been able to implement and expand the King Abdullah decree of allowing women to work in lingerie shops. Most people think that the biggest obstacle to women working in malls is religious fundamentalism. However, upon implementation, it became obvious that the perception of fundamentalism among Saudi society is exaggerated. In the span between the 2011 decree and 2013, the official number of Saudi women in the private sector grew from 42.4 thousand to 454.3 thousand. Saudi women and society at large proved not too conservative for these jobs. These numbers indicate that the main obstacle was and remains lack of opportunity. Meanwhile, those opposing Faqih are fringe fundamentalists and mostly business owners. Replacing cheap foreign labor with untrained more expensive Saudi women is not a transition that employers welcome. Most foreign labor comes from poverty stricken countries. These workers tend to be more forgiving than Saudis about work hours, health insurance and salary. So no wonder these business owners would not be too keen on the change. Al-Hussayen was a computer science Ph.D candidate at the University of Idaho when 9/11 happened. He was later caught up in the Patriot Act witch-hunt and was eventually deported. This scenario could have gotten much worse in many ways. The false accusations and the interruption of his hard earned studies could have led him astray. Instead, he came home and currently teaches computer science at a technical college in Riyadh. Al-Hussayen is a Saudi hero because rather than wallowing in bitterness he co-founded a non-profit educational platform, Rwaq. He created the platform with another Saudi hero, Fouad Al-Farhan. On this platform, they cut through all the financial and bureaucratic obstacles of further education. They also enable people from all over the Arab world to generously share their expertise. All this at no cost to no one but themselves. Hilal is a poetess with a long history of publishing under the pseudonym, Remia. Her talent was resilient enough to withstand the patriarch Bedouin society she grew up in. In her teens, her notebooks were taken away and set on fire. This did not deter her. She made use of any mode of communication available to her at the time including landlines and fax to send her poetry to magazines and newspapers. Eventually, her talent shined through and got her own regular two-page spread in a weekly Kuwaiti magazine. 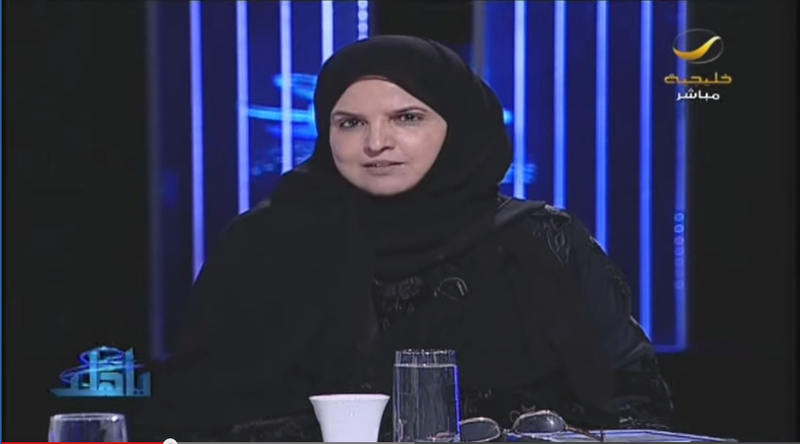 She moved on from there to be the first Saudi woman editor of the poetry and prose page in Al Hayat newspaper. Although, all of this merits her to be a Saudi hero, she’s on this list for another accomplishment. In 2010, she participated in the fourth season of a popular competition called The Million’s Poet. She took third place based on the viewer’s votes. However, if the show were based solely on the judges votes, she would have won. Regardless of her placement, she used this platform to address misogyny and extremism. While her fellow contestants wrote poems about their love conquests, Hilal bravely wrote hers about the psychological torture of polygamy and the evilness of fatwas. She was inevitably attacked and slandered in the media. In response, she used the last poem of the program to state that her intellectual freedom is like a bird that no one can catch. These are the top ten most beautiful Saudis in descending order. This list does not reflect my personal opinion. It is the result of extensive consultations with dozens of Saudis on social media and off. Enjoy! Al-Budair has her own show on the Rotana Network. She is known for her socially liberal public stances especially concerning women rights and the religious police. Alazzouni is a fashion designer whose dresses have been worn by celebrities like Paris Hilton, Emma Roberts, and Kelly Osbourne. Besides being extremely talented, she’s also very disciplined and passionate about her clothing line. 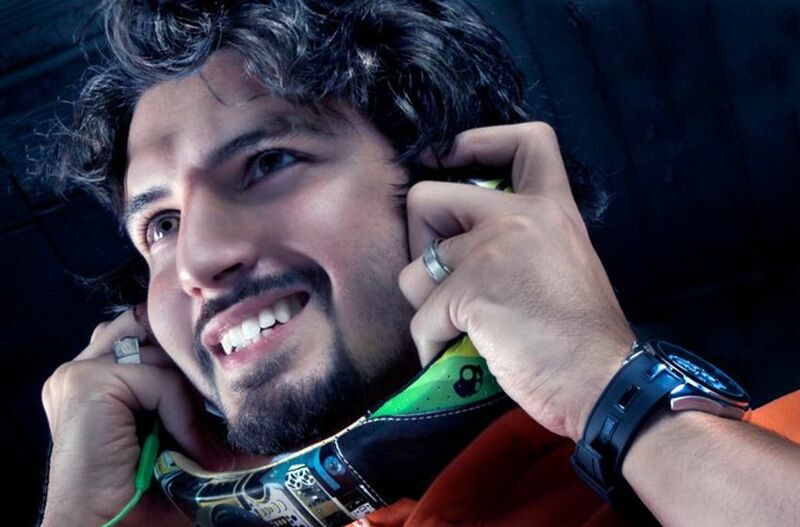 Al-Dosari is an interviewer and radio show host whose heart-throb status spans generations. Al Jumaah is an author and university lecturer. His book signing at the 2013 Riyadh Book Fair was cut short because he was mobbed by women. 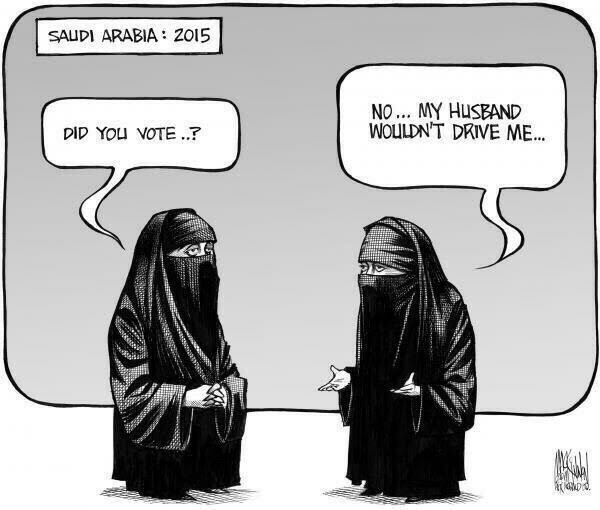 Saudi women have spoken. Al-Faryan uses his looks for good. He started with mini-sermons on Keek and then moved to Youtube and Twitter. He does them in both Arabic and English. 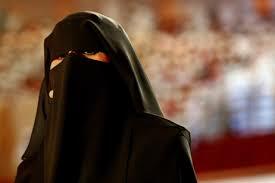 Abdullah is an actress who shocked Saudi society by taking on the role of a woman who marries four men. The scene when she explains to a friend why three husbands aren’t enough is unforgettable. This season she performs the leading role in a Bedouin series. This photo of her in costume drove a man to offer a reward of half a million riyals to the person who convinces her to marry him. Sindi started his career as presenter but since then he has become a Youtube star with his show Hashtag. Nuwailati is a newcomer but she’s hard to forget once you’ve seen the show she co-hosts with three others called Subscribe. Al-Tweel came onto the world stage as wife to one of the richest Arab men, HRH Prince Waleed bin Talal. Since then they’ve divorced but she’s kept her status set to influential. She’s currently chairwoman & CEO of Time Entertainment and chairwoman co-founder of Tasamy. Alzidane is what you get when you combine killer looks and social media savvy. He started as a radio show host but did not become a household name until he started Keeking. He currently has over a million followers on Twitter and a game show on the MBC network. It’s been a tough couple of years and the topics I’ve posted about recently range from bad to horrible. Since Eid is almost upon us, I’m posting something cheery and fun. One of the most popular posts on this blog is a ten most beautiful Saudis from 2010. So I thought it’s time for the update below. I’ve password protected it to consult with other Saudis before it’s made public on July 26th. I hope you find it worth the wait. Many Zionists like to think of themselves as modern day pioneers who have had the burden of taking over land and resources of those who are too “savage” to appreciate them. They claim they made “the desert bloom” conveniently ignoring the fact that the Arabs had built great civilizations with rich history on the land that Zionists now occupy. They consider it hypocritical of Americans to condemn how Israel was created when they themselves created a country on a land that already belonged to another. Their justification of since it happened in the past, it’s alright to repeat, is idiotic. This isn’t the seventeenth century and Palestinians are not Native Americans. I love how Gladwell writes that when two countries go to war, there is a 63.6% chance the weaker side will win if they use unconventional means. And if you read the book you’ll find that he goes on to give as his prime example how the Arabs overcame the Turks. Suppose you were to total up all the wars over the past two hundred years that occurred between very large and very small countries. Let’s say that one side has to be at least ten times larger in population and armed might than the other. How often do you think the bigger side wins? Most of us, I think, would put that number at close to 100 percent. A tenfold difference is a lot. But the actual answer may surprise you. When the political scientist Ivan Arreguín-Toft did the calculation a few years ago, what he came up with was 71.5 percent. Just under a third of the time, the weaker country wins. Arreguín-Toft then asked the question slightly differently. What happens in wars between the strong and the weak when the weak side does as David did and refuses to fight the way the bigger side wants to fight, using unconventional or guerrilla tactics? The answer: in those cases the weaker party’s winning percentage climbs from 28.5 percent to 63.6 percent. To put that in perspective, the United States’ population is ten times the size of Canada’s. If the two countries went to war and Canada chose to fight unconventionally, history would suggest that you ought to put your money on Canada. Today judge Yousef Gharam Allah Al Ghamdi of the Specialized Criminal Courts used the new antiterrorism law to sentence human rights activist Waleed Abulkhair to fifteen years in prison, two hundred thousand Riyal fine and another fifteen years travel ban upon Abulkhair’s release. For more background on the Abulkhair case and the new antiterrorism law, click here. 1- Waleed does not deserve this and we do not deserve someone like Waleed defending us. God help him. 2- How are we supposed to create a civil society that supports the government with all of Saudi’s civil society’s leaders behind bars? 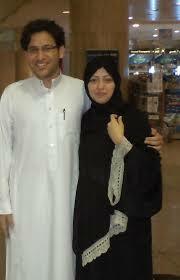 3- Fifteen years prison for Waleed Abulkhair and before him Albajadi, Alhamid, Alqahtani, Alkhadir, Alsaeed…etc. Reformers and rights advocates are taken down one after the other. 4- God knows that Waleed is a noble man and a champion of the oppressed. All we know of him is honor and honesty. 5- These sentences against citizens who peacefully demanded their rights transforms them in the eyes of the people to activists and symbols of freedom. 6- Words seem small against the siege of antiterrorism laws and arbitrary sentencing of a national and peaceful human rights activist. 7- Only in my country are human rights activists and reformers imprisoned while Al Qaeda terrorists are set free and religious police thugs are acquitted. #السجن_خمسة_عشر_عاما_لوليد_أبوالخير فقط في وطني.. يسجن المصلحين والحقوقيين ويطلق سراح ارهابيي القاعدة ويبرأ شبيحة الهيئة ! 8- God help you and your family, Waleed. You are known for your fight for freedom and justice. 9- Change will not come from nothing and we will not perish as long as there are free men like Waleed in this country. 10- We are extremely harsh with those who speak against the country’s policies and then wonder why extremism is born here. 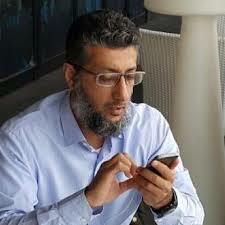 11- Human rights activists like Waleed prove that the government is not interested in moderates and reforms. 12- Waleed did not carry a weapon and he did not declare his desire to decapitate men. His only sin was to tell the truth. He will rise above. Please do not forget in your prayers the (imprisoned) members of the Saudi Civil and Political Rights Association. 13- Waleed is peaceful and loves peace. He has not killed and has not committed any sin. His gun is paper and his bullets are words. This is not a verdict, it is spite. مسالم ويحب السﻻم ..لم يقاتل ولم يرتكب الحرام..مسدسه أوراق ورصاصه كﻻم ..ايعقل ان هذا حكم..ﻻ بل انتقام ؟#السجن_خمسة_عشر_عاما_لوليد_أبوالخير! 14- There is nothing left to be said. Everything is clear now. This country is heaven for the corrupt and a ditch for reformers. 15- No free man, no matter his linguistic and cultural talents, in the current circumstances, has the ability to vindicate Waleed. All glory to Waleed. 16- Prisons have become an honor and an aspiration for every person who straightforwardly speaks his mind. God help the oppressed. #السجن_خمسة_عشر_عاما_لوليد_أبوالخير اصبحت السجون في بلادنا مشرّفة ومطلب لكل شخص يطرح رأيه بكل شفافية ، كان الله في عون كل مظلوم . 17- Terrorist and traitors are rehabilitated and then released while human rights activists are imprisoned. 18- Orders of arrests are issued now and again for both liberals and conservative with the purpose of shutting up all Saudis. 19- The men in power are creating a heroic figure of Waleed in a country where 60% of the population are under 35 years of age and have much in common with him. 20- In solidarity with Waleed Abulkhair. 21- Did you know that a father who rapes and kills his own daughter is sentenced eight years while human rights activists get more than ten years. 22- When will the judiciary understand that imprisoning Waleed for his peaceful activism increases frustration and pushes youth to resort to means of violence and extremism? 23- In plain Arabic, in this country you cannot open your mouth or else you are destined for prison. 24- If Waleed’s prison guards realized how much he has sacrificed to defend human rights, they would kiss his forehead and apologize for their inability to help. 25- Today we are all Waleed Abulkhair. 26- Those who call for the rights of people are imprisoned and fined while those who rob the country of its wealth are at liberty. #السجن_خمسة_عشر_عاما_لوليد_أبوالخير الذي يطالب بحقوق الناس يسجن 15 سنة ويُغرم والذي ينهب ثروات البلد حُر طليق!! 27- Waleed is a husband, a father of a month-old girl, a lawyer, a hard-working family man and an active individual in the community ..
All I know of him is his conscientiousness. 28- In the law of tyranny, reform is a felony that calls for imprisonment. 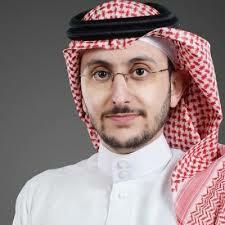 #السجن_خمسة_عشر_عاما_لوليد_أبوالخير في شريعة الاستبداد، يكون الإصلاح جناية توجب السجن. 29- There was no betrayal. They are peaceful advocates for justice and freedom with a great love for their country. And the result is a fifteen year sentence for Waleed. How can you justify that? لم يخونوا الأمانة .. كانوا دعاة عدل وحرية بالكلمة الطيبة .. حبهم لوطنهم كبير.. والنتيجة اليوم سجن #وليد_أبوالخير ١٥ سنة . مالكم كيف تحكمون . 30- Reform and freedom of thought is a bigger crime here than bribery and theft. 31- My country, you have jailed a good man who loves you. How strange you are to rehabilitate bombing terrorists and imprison peaceful activists. 32- Read contemporary history and look around .. Has the oppression of peaceful activism led to its termination and social stability or the opposite? 33- This is violent oppression of those who use peaceful methods and then we are shocked when others resort to assassinations and bombings. 34- Waleed called for reforms and justice and this is the court’s verdict! He is now on the path of the activists and constitutionalists who have gone before. #السجن_خمسة_عشر_عاما_لوليد_أبوالخير وليد طالب بالإصلاح والعدالة فصدر هذا الحكم بحقه! ليلحق بدعاة الإصلاح الحقوقي والدستوري. 35- This verdict has shaken all who fear for the security and stability of our country. The ruling is shocking and frustrating. #السجن_خمسة_عشر_عاما_لوليد_أبوالخير من يخاف على أمن وطنه واستقراره يهز كيانه هذا الحكم حكم يثير الدهشة والتساؤلات والحيرة !! 36- When a country is too small to contain the free, prison becomes an honor and distinction. 37- It is to be expected. The greater the government’s fear of rights activists, the greater its thirst to imprison them. As long as the fear remains, so do their names. 38- They keep making the wrong wager. They have never won since Albajadi, Alqahtani and Alhamid and now Waleed. Waleed’s ideas and words pledge that every day there will appear a new free patriot. 39- Waleed, we will remember your name while the names of the oppressors will be forgotten or will fall in shame. The story of your faith and resilience will always stand. 40- Waleed, I rule that you are free and will never be conquered. I rule that you are more of a patriot than all of the MOI’s employees behind the fake Twitter accounts combined. This is my ruling as one of the people. 41- People who instigate jihad and terrorism deserve prison and not patriots who want reforms and the betterment of our country. 42- ISIS is knocking on our doors, Egypt is exploding in anger, Bahrain is unstable, Kuwait is witnessing civil movements and we are pursuing people and imprisoning them. 43- I worry that such harsh ruling on those who have never taken up violence will have dire consequences in the end. 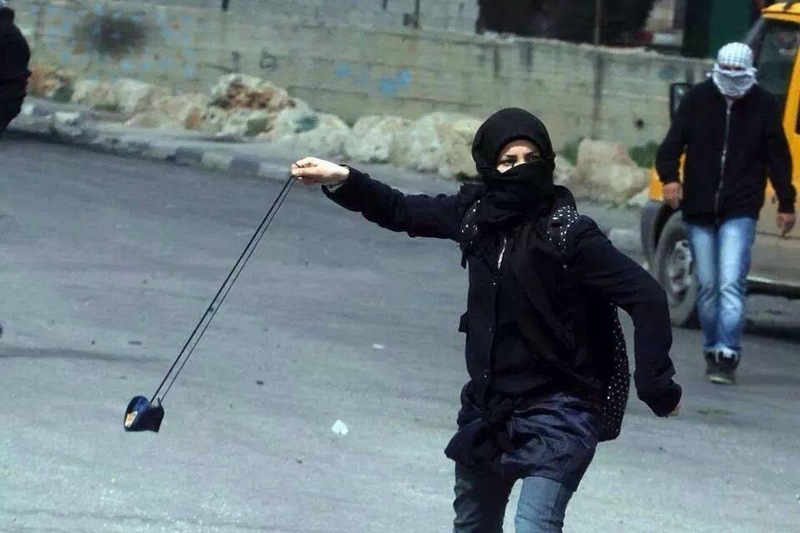 44- Governments that fight peaceful human rights activists so that they succumb to it, push the naive to violence. However this fight will only increase the resilience of the free and highlight their causes. 45- God help Waleed! He shouted the truth while we remained silent. He championed the oppressed while we failed them. He defended the imprisoned while we cowered. 46- Waleed Abulkhair is a defender of human rights who we are proud to say has consistently defended human rights for years. He has defended many and today we must all stand by him. 47- Fifteen years for speaking about corruption cases and reforms? He never defected, incited violence, stole or murdered! How can this verdict be? 48- ِEvery day Waleed spends behind the bars of the oppressors will be another day of victory for Waleed. Waleed will not be the last station in the peaceful struggle for dignity. 49- Time will prove that the banner of freedom has not fallen, and the struggle will continue. The bet is on the resolute! 50- Your smile is stronger than their shackles. Waleed was sentenced to fifteen years for calling for reforms. He never carried a weapon. He was concerned for his country and so he was repaid with prison!